It’s always great when you make the first step to NO longer repeat a Pattern … it’s not easy but when you break it… What a Blessing and Revelation it is. I’m breaking many old habits that are no longer beneficial to me. 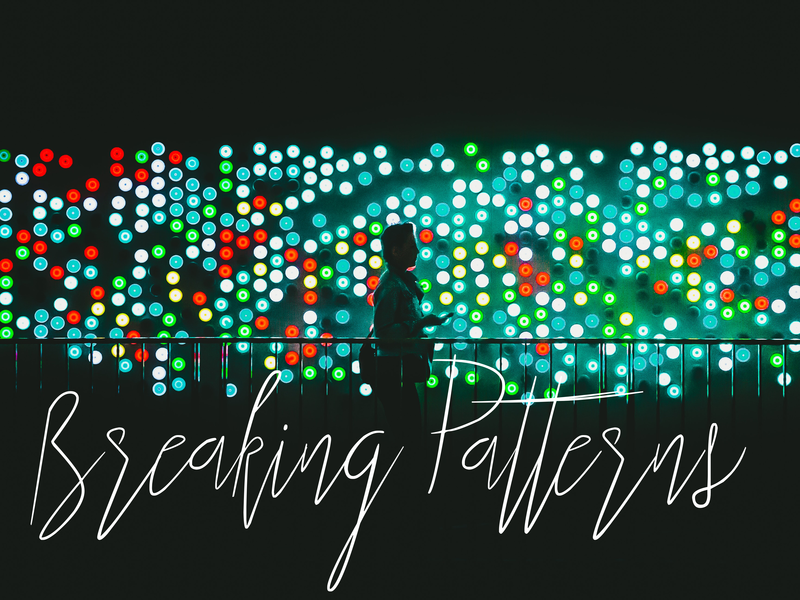 I never broke these patterns before because I was always concerned about the other person over myself. Not realizing that I was never a concern to them they way they were to me. It’s never easy putting yourself first when most of your life you repeatedly give to others. The word NO wasn’t a word that I utilized frequently. The word YES however was. So many people would say No to me or find a way to disappoint me and I’d accept it. I’d accept it because it was how they felt or what they said at the time and I couldn’t fault them because it was what it was. But now I’m changing these patterns I’m putting myself and my happiness first. I’m slowly removing the people and behaviors that no longer serve me. One pattern and behavior I’m breaking is being readily there for people. When I tell you I’m there for people I give my all to people. These same people never check on me to see if I’m okay or if I need anything. It’s always about them and always have been. So I’m giving less of myself to them. I’ll help and be there for them when I feel that I wish to. I will no longer feel guilty for not being there when I don’t have to. I know some may see it as I’m being selfish and I chose to do these things for people. This is true but I also choose myself and I see how people treat me and it hurts and I’m not going to continue to allow people to treat me that way. People do to us what we allow them to do. This quote is so true and will be a quote I will never forget. Its okay to do for others but don’t allow others to take advantage of you. Make sure that they show genuine appreciation for what you’ve done for them. This appreciation is not just for your satisfaction but it shows that they have genuine respect and admiration for you being what you are to them.